House Of Blues New Orleans! The House of Blues restaurant menu draws its inspirations from across the South. 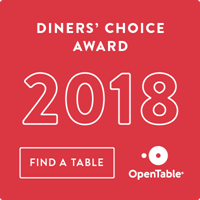 The menu includes iconic dishes such as New Orleans jambalaya and gumbo, Lowcountry shrimp and grits, house-smoked Carolina pulled-pork barbeque, Memphis-style baby back ribs, and Delta fried chicken. The menu also offers signature Southern-inspired recipes such as Voodoo Shrimp and Carolina Mess, as well as a wide range of burgers, sandwiches and salads. The House of Blues bar is dedicated to showcasing a unique blend of classic and contemporary specialty cocktails, spirits and craft beer. Come join us for lunch, dinner or happy hour!